Vesta rodless cylinders RLF series are made of a special tube with a slot along the full length. The inside piston assembly is connected directly with the outside carriage through the slot of the tube. A flexible stainless steel band passing through the piston assembly, thus enabling the sealing of the tube. 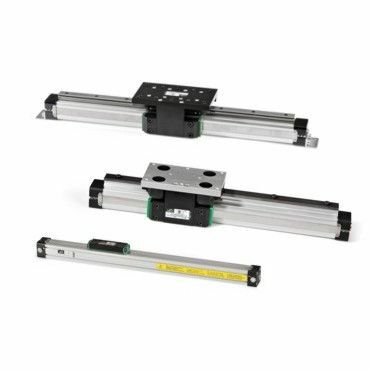 The mechanically strong connection, the use of low friction materials and the complete range of available guiding systems allow a wide range of loads and moments of inertia to be applied to those cylinders granting fast and competitive solutions to many linear motion applications.